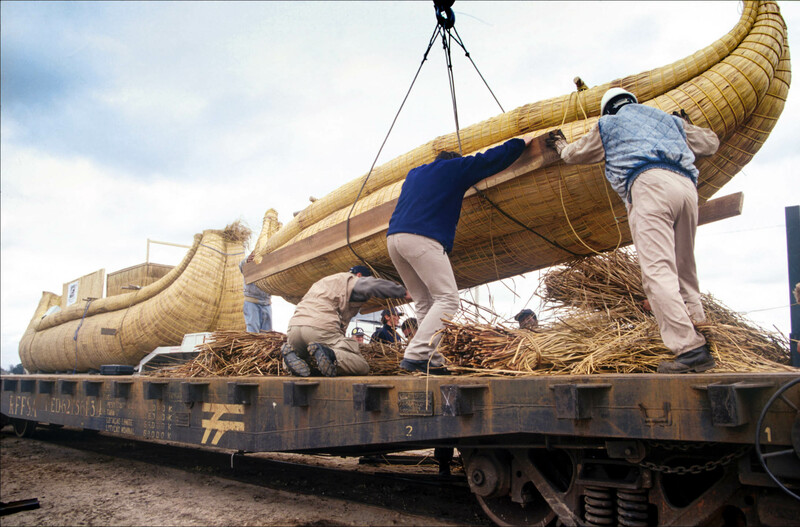 Kota Mama II, our read boat, was made at Lake Titicaca on Bolivia's altiplano which once connected with our river system to Argentina but changes the land mass had now disconnected it. 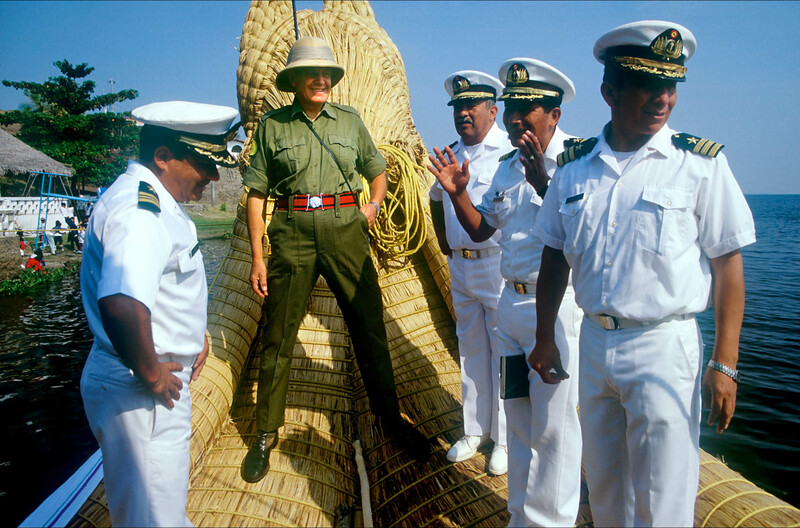 Our leader, the famous, pith helmet clad, Colonel John Blashford Snell, had arranged a gran departure with a send of from the Bolivian navy. 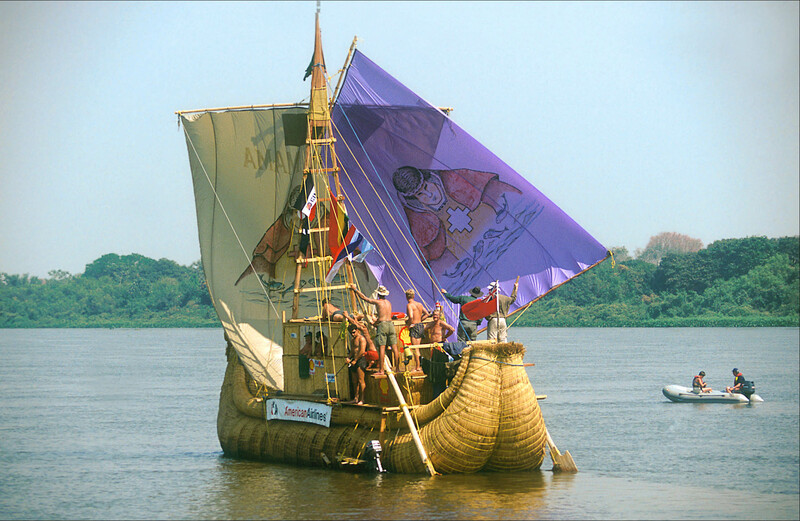 The Kota Mama II expedition aim was to prove ancient trade links. 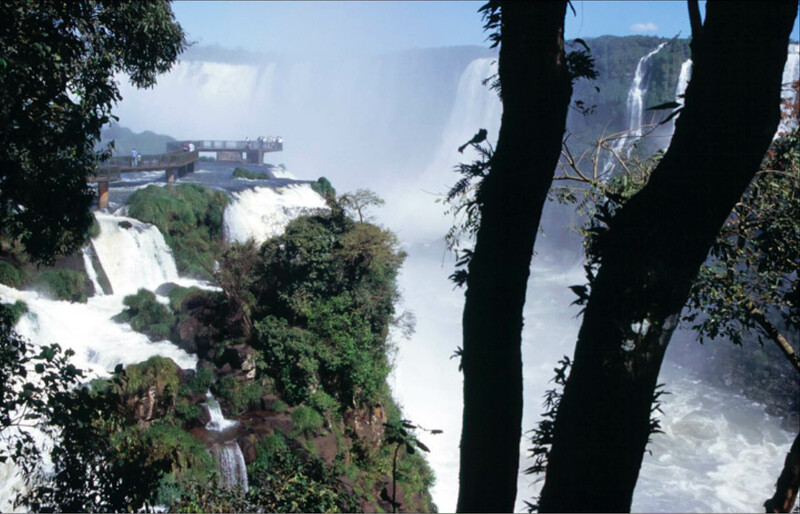 Fortunately we connected with Iguassu Falls down river and were therefore able to navigate around them. Occasionally heavy winds would blow up and push us into the banks. 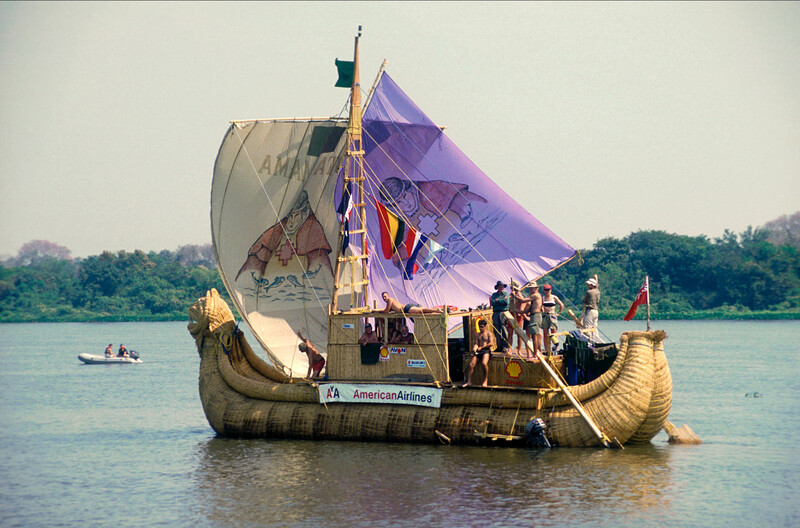 Kota Mama II expedition from Bolivia to Argentina's Atlantic coast. 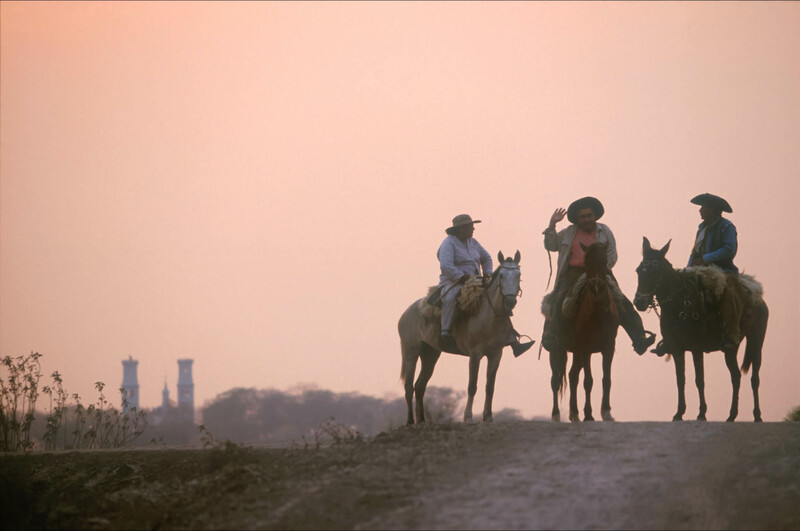 Gaucho's like a throwback from the wild west, carry six shooters, lasso's and crack long whips to round up the cattle. Kota Mama II expedition. 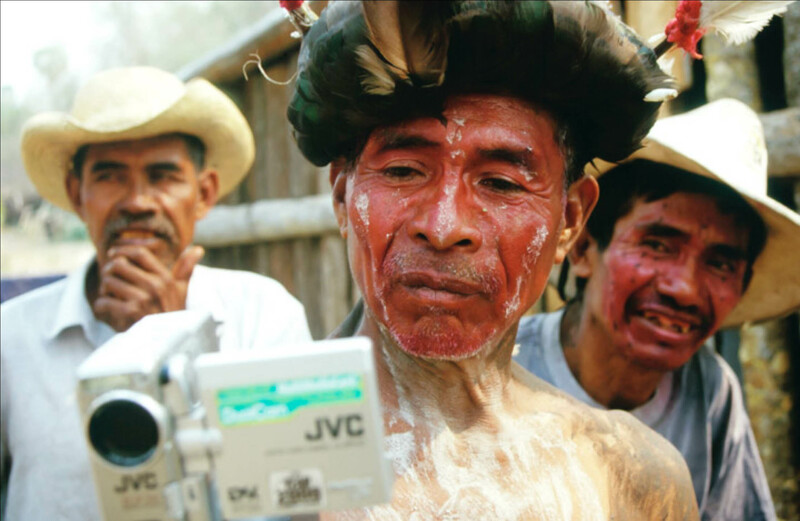 The shaman was amazed to see his rain dance on a hand held video recorder having never seen technology like it. Kota Mama II expedition. 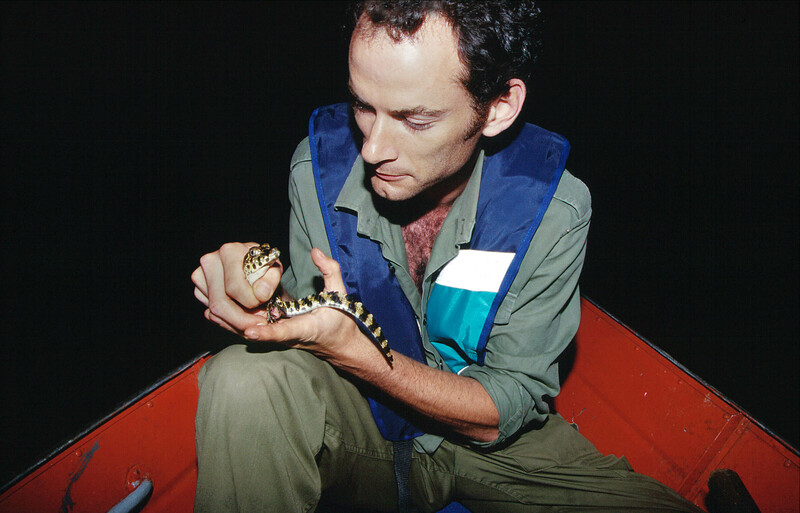 At night time, the scientific crew when out on small boats and, by staring down the beem of a touch, could see a bright reflection from the retina of the endangered caiman, a species of crocodile that they there were helping to count. 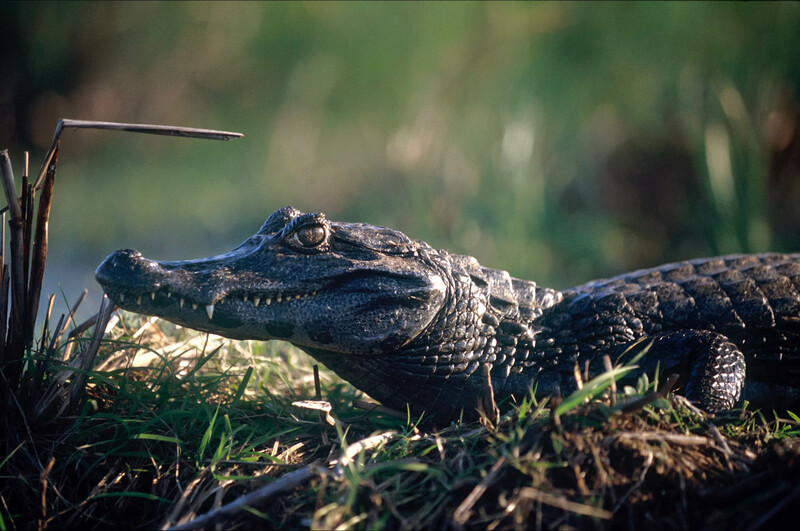 Nexting caiman could be found along the river banks. Kota Mama II expedition. Unusually the wind was in our favor and we were able to sale Kota Mama II. Much of the time the outboard motor was needed to push her along. 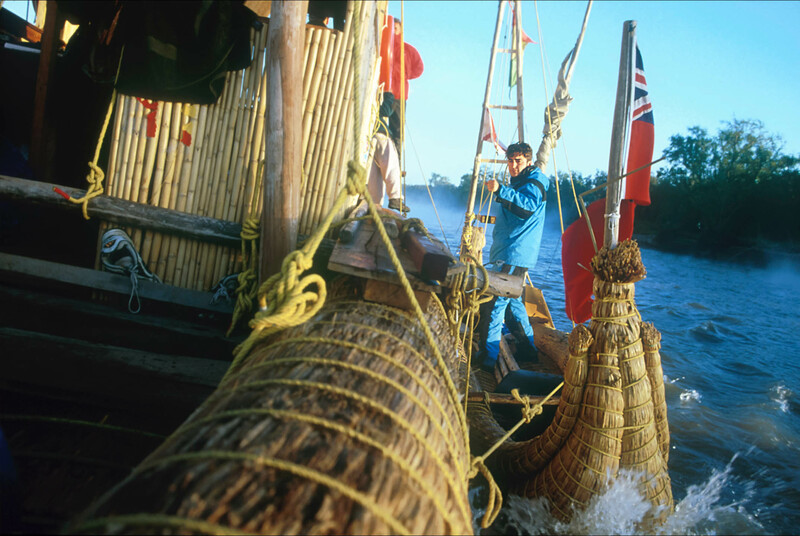 Kota Mama II expedition.